For a Carte D’Or TV commercial shot at Black Island Studios in London, The Revolving Stage Company supplied a 5m diameter revolving stage that also included a 2m diameter static stage mounted above the centre. 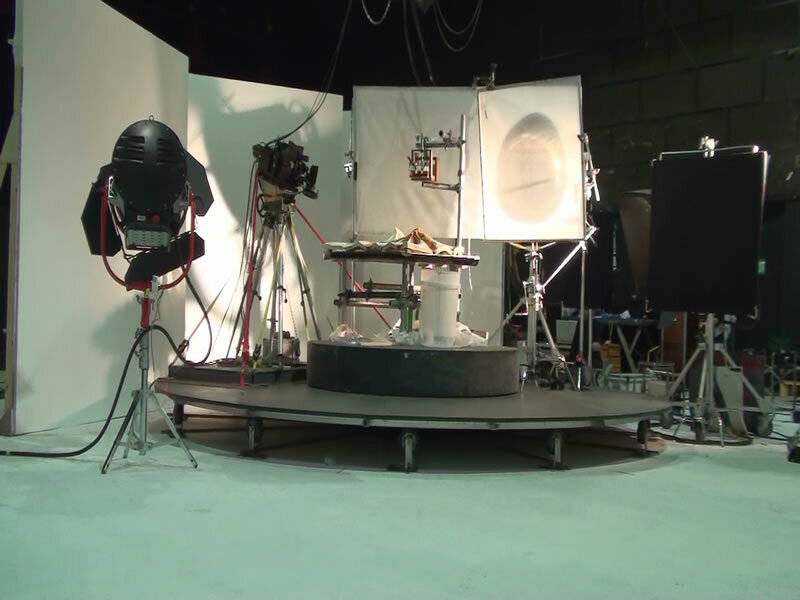 The revolving stage was used to rotate a fast frame camera around the static centre, where a model of ice cream was positioned, with a ‘syrup pour’ rigged above. With the revolve motor increased to allow a rotation speed of 8 rpm, the camera was moved 390 degrees around the ice cream as the syrup poured from above. When the film was played back in slow motion, the syrup could be seen hitting the peaks of the ice cream as the camera panned round. The Revolvesolve Encoder Package was used to control the stage so that identical speed and position was repeated for each shoot and also to trigger the syrup pour in the correct position each time.